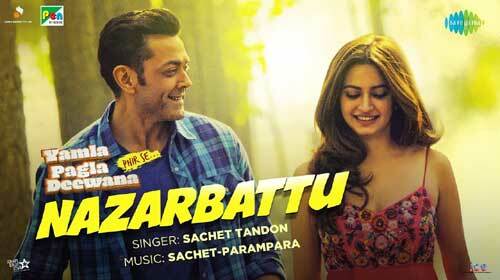 Nazarbattu Lyrics from Yamla Pagla Deewana Phir Se is sung by Sachet Tandon. Its music is composed by Sachet-Parampara and lyrics are written by Pulkit Rishi. If you find any mistake in lyrics of NAZARBATTU LYRICS – Yamla Pagla Deewana Phir Se song please let us know in comments.